Now That Its Winter, Should I Pull My Listing Off The Market? With the arrival of arctic temperatures and relentless snow, many sellers pull their listings off the market. 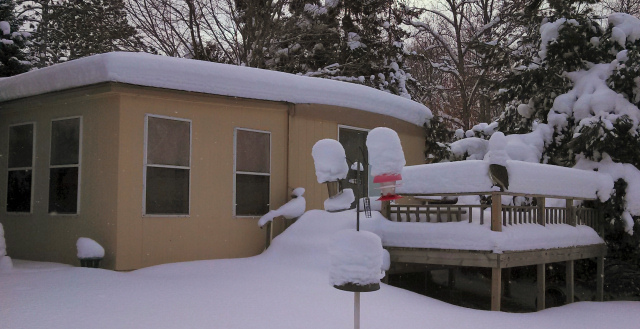 Their reasons seem plausible – they’ve gone south for winter and don’t want to keep their Hayward home plowed and shoveled, and some don’t want to keep the heat and utilities on for showings. Others believe their property, left on the MLS during ‘dead’ months will rack up extra on-the-market time, and become stigmatized. Of course, who the heck is looking at property to buy during the middle of these brutal northern Wisconsin winters? Our Hayward real estate office is busy. For the past few years, we’ve even been busy late into fall, and even into the dreaded winter months. Last January, our office had several closings – something almost unheard of up here since the housing market crash a few years back. I encourage sellers to keep their property on the market through winter! As often happens, buyers who had looked around during summer, finally have the time to pursue their purchases come the quieter days of fall and winter. Unfortunately, when they come back here, several of the listings they had interest in, have fallen off the radar because the sellers pulled them from the market. Sellers, talk to your agents – there are some options for keeping your listing going through the winter months and still making it workable for you. Some like to put their listing on ‘hold status’ temporarily, especially over the holiday season, or when their travels take them out of contact range for a period. Your agent can remove all the for-sale signs if a seller is concerned about signs pointing to an obviously vacant home-the property would still come up through agent searches of the MLS. Also, did you know that agents can show your cabin even if it is winterized? We don’t necessarily need the heat on to show your property! Now, I admit, electricity is nice to have, but I’ve shown many places that have the power off during winter, and it works! Another advantage to keeping your property listed through winter has to do with advertising; an excellent advertising resource here in the Hayward area, is the Real Estate Buyer’s Guide, which only comes out a few times a year now. Your winter-time listing could be included in the early spring issue, attracting many potential early-season lookers! Sellers, the decision to pull your home or keep it on the market is yours to make – but please consider some of the points I’ve brought up above. Talk to your listing agent – he or she can answer your questions and address your concerns. And of course, good luck with your future real estate sale! This entry was posted in SELLERS and tagged advice for property sellers, area north realty, cathy lareau, home for sale in winter months, leave home for sale during winter?, listing home in winter, should I take my home off market in winter?. Bookmark the permalink.